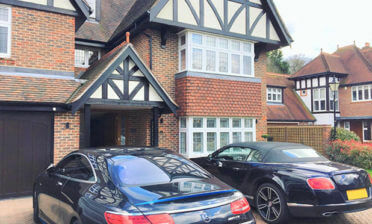 We love fitting our shutters to bay windows throughout the South of England. This style of window looks fantastic with shutters no matter what design is used and can really benefit from the natural lighting and privacy. 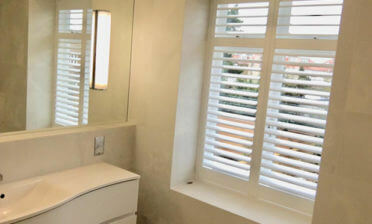 These shutters were to be fitted for a client in Farnborough, Kent. 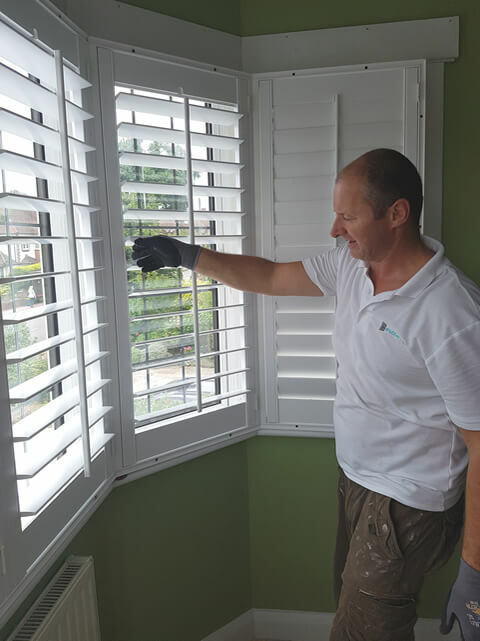 Lewis was on hand to take measurements which needed to be highly accurate due to the nature of designing and installing shutters for a 5 section bay. As with all our shutters the millimetre perfect measurements we take allow for the perfect bespoke fit each and every time! 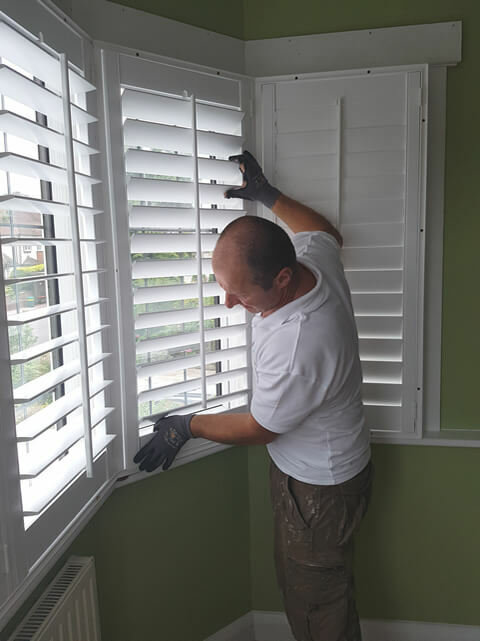 Mike and Mark were the installers for this project and work hard to make sure that the shutters are not only installed accurately but function correctly for the homeowners. 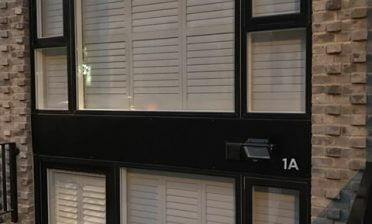 It is important that the shutters not only look fantastic, but open and adjust accurately as well. We used an MDF material from out Antigua Range for this build which are affordable without compromising on quality or look. 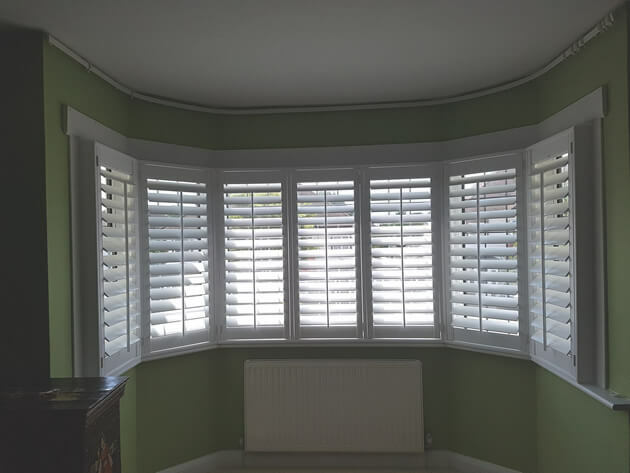 These shutters were created in a full height style which means that each panel simply runs from top to bottom with louvres that in this case are adjusted with a centralised tilt rod. They are easy to use and elegant in design. 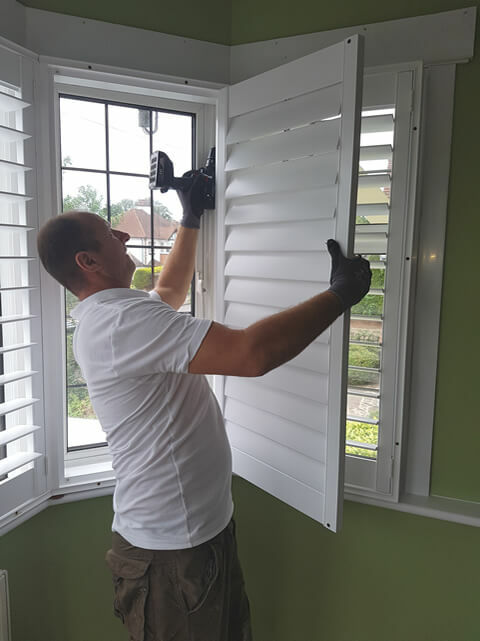 The customer opted for nice chunky 89mm louvres which work very well with these shutters, which were finished in pure white with matching hinges.